Following the success of last year’s Christmas Shopper Simulator, retailer GAME has announced the sequel to its popular sim game. Christmas Shopping Simulator 2: Black Friday will let gamers “revel in the chaos” of the popular shopping event. Beat the crowds to bargain dog bras at Pet Provocateur or swoop on down to Britain’s Got Talons; the shop for all your falconry needs. And if you’re all about the shopping selfie, you can snap your best in-game moment with the longest ever in-game selfie stick. As well as this, there’s a ragdoll mode as well as a FPS mode that lets you use fire extinguishers as weapons. 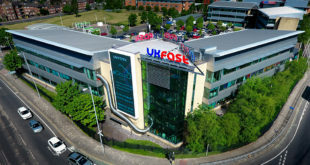 “Following on from the success of last year’s Christmas Shopping Simulator, we wanted to get gamers excited and give them even more ways to get prepared ahead of the biggest shopping day of the year,” said Fred Prego, director of Shopper Simulation development at GAME. 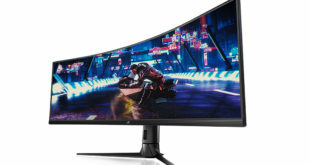 “Black Friday shopping can be a frenzy and we get that, so with the second instalment of the simulator game, players can enjoy the madness of bargain hunting, all from the comfort of their own home. With amazing new features and improvements, Christmas Shopping Simulator 2: Black Friday is even more addictive. So if you’re going to download just one Black Friday simulator this year, make it Christmas Shopper Simulator 2: Black Friday. 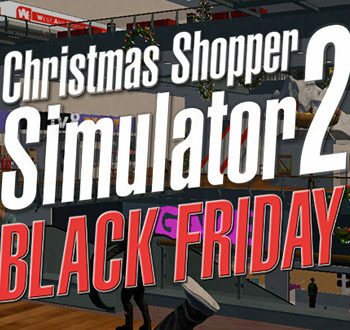 Shopping Simulator 2: Black Friday is available as a free download from game.co.uk.